1. 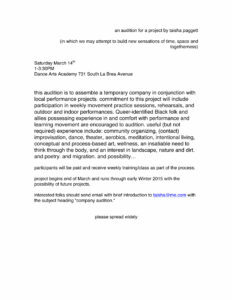 Company: A group of dancers or performers gathered under a shared identity across multiple projects. 2. Company: The company we seek, the company we keep, from Old French compagnie “society, friendship, intimacy,” from Late Latin companionem, combining com- “with” and panis “bread” — people who break bread together. We responded with deeply felt stories about identity, movement, desire for connection, and seeking personal expansion. It was six months after the killings of Michael Brown and Eric Garner by police and the birth of the Black Lives Matter movement in Ferguson, Missouri, the vulnerability of Black bodies and routine violence against them filled the air around us, and we sought community organized by acknowledgment of and resistance to it. 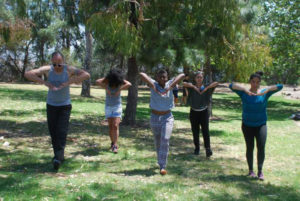 For our first performance in May, 2015, evereachmore, we 7 spent months together developing movement phrases, gestures and language, which taisha, as choreographer, then threaded into a larger work along the LA River. 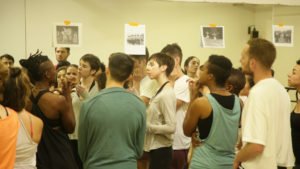 For the School for the Movement of the Technicolor People, taisha invited us into a new layer of the creative process, developing a curriculum together, beginning by asking what each of us would like to teach. The school was to be “an extension of WXPT’s praxis,” and that would mean teaching not only our techniques and ideas, but inviting others into our experience of process, our process of being and becoming-company. An essential element of our process is how we practice unison. taisha, who signs her emails “in unison,” intentionally centralizes Black Queer people in our process, and she assembled us as a group of queer people of color and allies. We include people at varying life stages, people who are mediamakers, designers, directors, curators, organizers, dancers, and actors. We were formed to stand together in difference. Unison is typically thought of as two or more people doing the same movement simultaneously, “in unison.” It is a technical term but also a metaphor—a metaphor for how cultural things (language, identity, patterns of movement) hold different people together, in step, in time, able to identify with one another. In our dancing, our unison contains our individual differences as well. 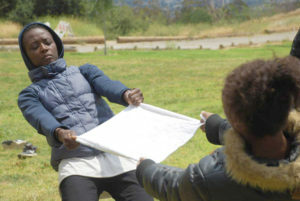 In everreachmore, for example, we repeat an arm phrase in the round: we all do the same movements, in the same order, but we retain the unique ways that our bodies hold that movement rather than erase those differences or train them out of our bodies. At another point in the performance, we travel close to a mile while always retaining contact with at least one other person. How we maintain contact and move forward is negotiated in the moment, our choreography simply to remain in contact. We don’t know how, but we are certain we will move forward together in unison. Similarly, our community takes place among the realities of our own personal lives. 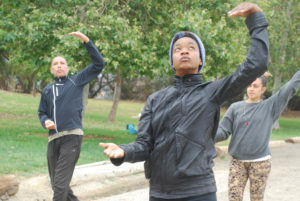 Members who are students and those living farther away can only attend weekend rehearsals. Members who learn of illness in their family must reduce their attendance. Others must weigh this commitment against personal projects, work obligations, and the need to earn their living. In building the School, our original group of 16 has often been 5 or 6 at a time. Here we balance the deeper commitment some of us are able to maintain with a graciousness for the reentry of others, the personal integrated into the communal. As a learning community, we need to “offer ourselves,” and we lay that simple idea at the base of our school.